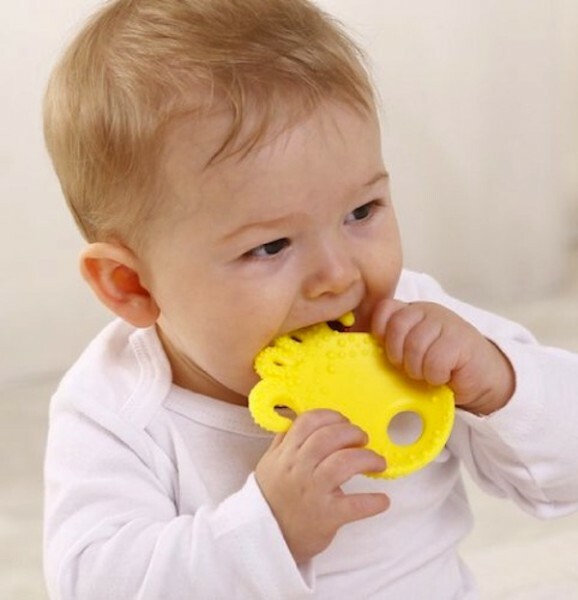 Anyone who has ever had a teething baby will know just how valuable a good teether is. When you have a little one who is systematically taste testing everything in their vicinity, a teething toy that can keep their attention is gold. I have a little one cutting teeth right now and this range of teethers by Mayapple Baby have definitely caught my eye. The first thing I noticed was of course the awesome design. The shapes are simple and funky, it’s no surprise they were designed by a New York mum and dad duo, out of necessity and frustration during their own baby’s teething stage. The second thing was that all of the Mayapple Baby teething toys have little holes so they can be attached to a dummy strap. Teething time can be total dribble-ville, the chances of wet fingers holding onto something for an extended period of time is pretty slim so being able to clip them onto clothes or the pram is a huge bonus. And the third selling point is that they come in sets of three. How great is it to have a bunch so you always have a clean one to grab? 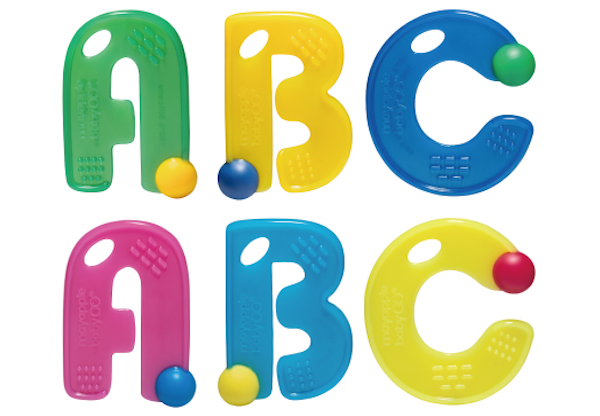 Made with German medical-grade silicone, each letter and shape has a few different teething textures, is free of plastics, heavy metals, BPA, phthalates and nitrosamines and can be easily sterilised. As an added bonus, Mayapple Baby is dedicated to the use of non-toxic, ethical materials in their products and packaging which is always nice. You can get these gorgeous little guys from Boutique Brands for $22.95 a set.